We’ve been talking about Prince Charles quite a bit this week, especially as excerpts from Robert Jobson’s biography on the future king have been leaked. In brief – Robert Jobson has been a royal reporter for three decades and travelled on official tours with Charles for 18 months doing research for the book. Which means that he had access to information and to sources who provided even more information. Some of that information was about Charles’s relationship to his sons. And specifically to his first son, Prince William, who was described as “a little grand”. As I noted in that post, clearly Robert Jobson’s book came with at least some cooperation from the Prince of Wales so …does that mean he’s checking his heir? First and foremost, Charles’s intention seems to be to remind people of how hard he works, how busy he is, how many engagements he commits to, not just in the short term, but the projects he’s taken on over the last decade or more. Like climate change, the environment, architectural preservation. Underneath all of that is the suggestion that he would not have been able to have done all of that if he’d become king a while ago…which in turn is meant to dispel the long-held assumption that he’s desperate to be king. Occasional grumbling aside, these royal-watchers esteem Charles and Camilla. “She’s my favorite royal, by a country mile,” I’m told by one correspondent. “She knows all our names, she fosters a sense that we’re all in this together. She always gives you a little gleam in her eye and will find a moment to look at our cameras,” says another. William and Kate, by comparison, go out of their way not to look at the “fixed point” where photographers gather. In general, this correspondent goes on, the younger generation of royals are “control freaks” about their coverage, whereas Charles is “far more relaxed.” As is Camilla. 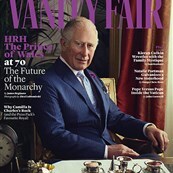 There it is again, a piece on Prince Charles that compares him to his sons, and he comes out favourably. That bit about where Will and Kate look and don’t look, by the way, when they’re being photographed, is totally true. The Cambridges always want to seem “candid” while micromanaging every detail. Still, this is Charles claiming he’s way more easygoing than his children. And also, possibly, reminding everyone that even though his children are way more popular than he is, he’s the one who’s going to be wearing that crown on his head, eventually. That’s a young royal move, that is not a senior royal move. Or at least it wasn’t, until now. “Try this, darling,” he coos, as onlookers smile and photographers click. Darling is a lot more Sussex than it is Cambridge. But, maybe the idea they’re trying to push is that “darling” has actually always been Wales, the OG royal PDA couple? To clarify – Wales v2.0. I wonder how all of this is being received at Kensington Palace. I wonder what Prince William in particular thinks of his dad’s recent PR. After over two weeks of Harry and Meghan’s glamour and with Prince Charles now trying to show so much “personality”, will he feel like he’s the one looking like the dullard in the group? 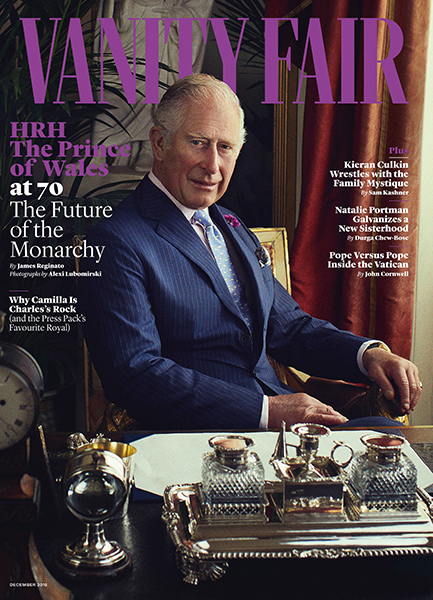 Click here to read the full Vanity Fair feature on Prince Charles.